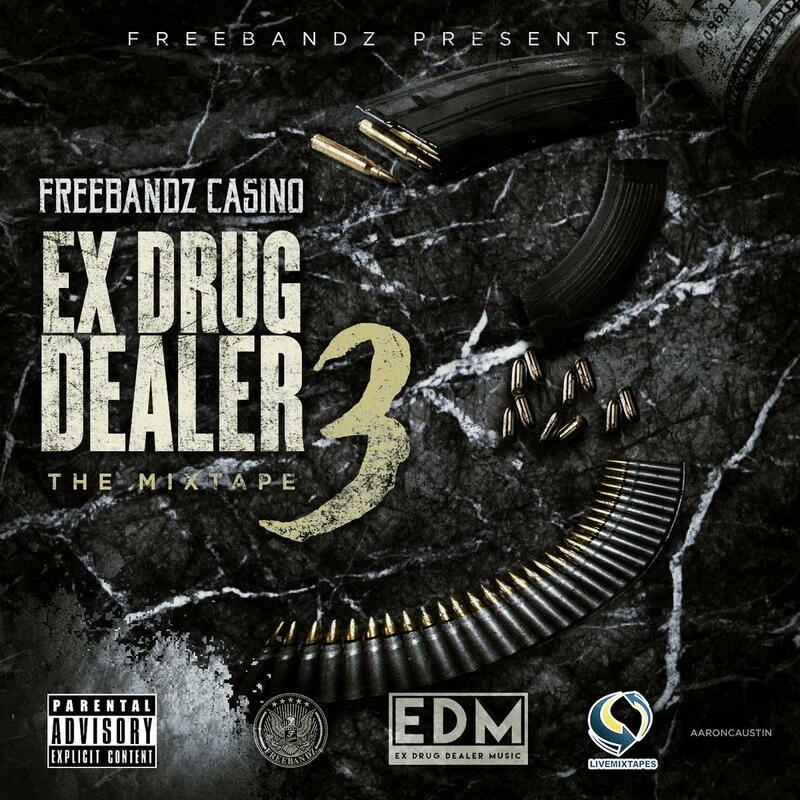 Casino drops mixtape "Ex Drug Dealer 3." Freebandz rapper Casino just dropped a fire new mixtape. Produced by Cicero of 808 Mafia, Ex Drug Dealer 3 features Future, Mexico Rann, GWOP, and more. The tape starts off with bang. "Drug Dealer" shows off Casino electric flow. Like his boss Future, Casino spits about coming up -- tales of his origins from trap to riches. He also has a preference for Percocet and bad women. Still, most Freebandz fans will probably skip to "Nothing Like Me." Featuring Mexico Rann, Gwop and none other than Future, the song doesn't blast the bass but Future sings a memorable hook -- of course. Stream Ex Drug Dealer right here.